Susan Harris MacKay is Pedagogical Director at Portland Children’s Museum. 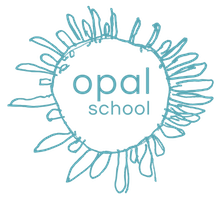 In that role, she leads the pedagogical direction of Opal Beginning School, Opal Charter School, and the Museum Center for Learning. Susan is tireless in her work to fulfill the mission of Opal School: to strengthen public education through provoking fresh ideas concerning environments where creativity, imagination, and the wonder of learning thrive. Susan has a degree in English from Vassar College and an MAT from Lewis and Clark College. Her teaching career began when she discovered the potential of writer’s workshop to invite young children to make their voices public and imagined the power in that potential to change the world. Later, she discovered the concept of the 100 Languages from Reggio Emilia, Italy, where adults were inviting the very youngest children to become citizens by making their ideas and experiences visible long before they could write. These days, Susan writes and presents about what is being learned in Opal School classrooms as students and teachers use the hundred languages to express their powerful ideas and inspire the new possibilities for environments that support playful inquiry, creativity and the wonder of learning. Her presentations and publications are based in ongoing practice: In addition to her administrative leadership responsibilities, she often works with the children at Opal School. Susan’s work has inspired thousands of teachers to expand their use of play, the arts, and inquiry to support children’s right to high quality educational environments upon which our democracy depends.